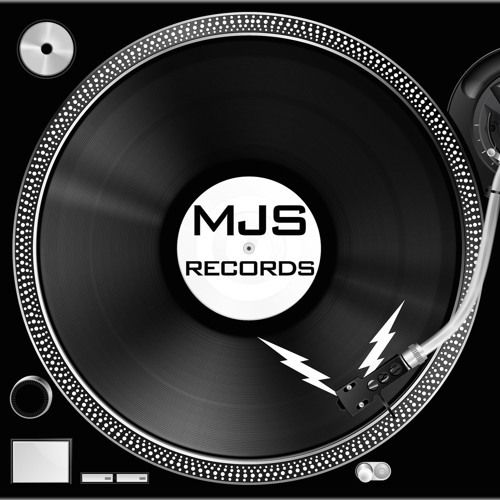 MJS Records is a San Diego, California based Record Label founded by DJ/Producer/Remixer Golden Boy Mike (www.facebook.com/GoldenBoyMike). MJS Records releases both vinyl and digital music focusing on trance music, but releases other genres as well. MJS Records is the record label for the MJS Productions Artist Management (www.MJSProductions.net/Artist-Management) artists as well as others from across the globe. Artists signed to MJS Records include Golden Boy Mike (USA), DJ TL SPANX (USA), GM Music (UK), Denizen (USA), Calte Jones (UK), SamiVeli (Belgium), M’lissa (Netherlands), Nicholas Salazar (USA), Chris Vision (USA), Dawnchaser (USA), Delilah, Latina Princess (USA), and TechJack (Belgium). Our logo is inspired by the design of influential record labels in founder Golden Boy Mike's past, such as the first house music label in Chicago, DJ International, and the label that first featured the turntable on it's jackets, Def Jam. The logo is hand-drawn, not a picture, which makes it even more remarkable. The lightning bolts are from Golden Boy Mike's first hand-drawn logo in the mid 1980's when he was aspiring to be a dj. Now almost 30 years later it has come full circle with the launch of MJS Records. MJS Records has had several of its releases hit the charts, including 2 songs that debuted at #1. Charting releases include: -(MJS001) - Angel's Cry by Golden Boy Mike - Top 10 on the tunes4djs.com Trance Chart -(MJS007) - The Feeling (Nico Salazar Remix) - GM Music & Denizen featuring Calte Jones - debuted at #1 on the tunes4djs.com Dubstep Chart -(MJS008) – The Feeling (Dawnchaser Remix) – GM Music & Denizen featuring Calte Jones – debuted at #8 on the tunes4djs Top 10 Trance Chart and at #74 on the djtunes Top 100 Trance Chart - (MJS009) - Ricochet by Chris Vision & DJ TL SPANX - debuted at #1 on the tunes4djs.com Electro House Chart - (MJS012) – Roll the Dice by TechJack – debuted at #8 on the tunes4djs.com Techno Chart. If you like the music on MJS Records download it or follow us on our social media pages and you will stay up to date on all the MJS Records releases. If you would like to send us a demo for possible release on MJS Records please go to our DEMOS page at www.MJSRecords.net/DEMOS for the instructions.